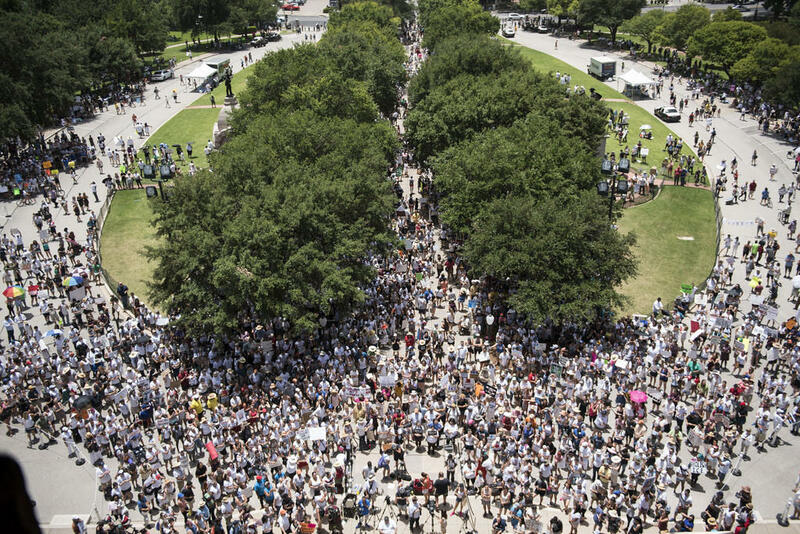 Thousands gather at the steps of the Texas Capitol to rally against the recent immigration crackdown along the U.S./Mexico border. Deborah Cambles joins thousands gathered at the Texas Capitol to rally against the recent immigration crackdown along the U.S./Mexico border. Immigration attorney Kate Lincoln-Goldfinch shared her experience working with mothers being held at the Hutto Detention Center outside Austin. "I have heard their heartbreaking stories of the moment of separation," Lincoln-Goldfinch said. "Each as awful as the one before. [Border Patrol agents] would tell the parents their child was being taken to another room for a photo or a bath, but their child would not return." Last week, President Trump signed an executive order ending his administration's policy of separating children from their families as they attempted to cross the U.S.-Mexico border. Despite that action, many families remain separated, and it's not clear when or if detained children will be reunited with their parents. 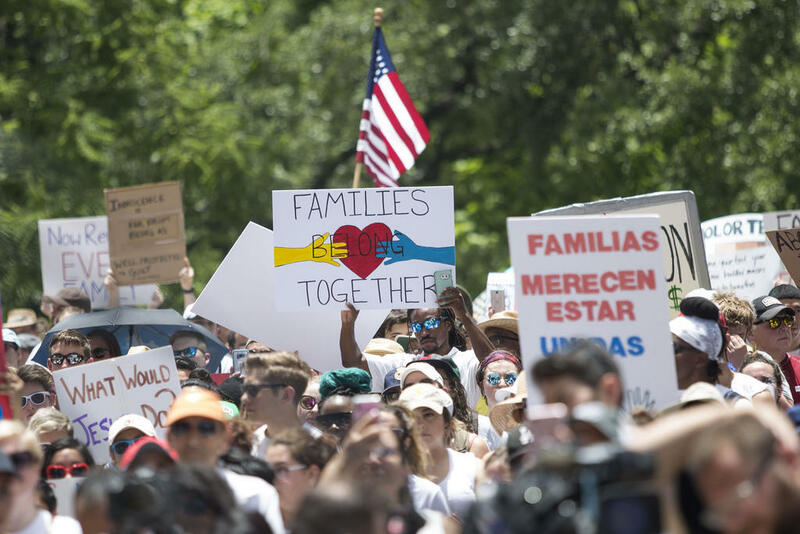 A federal judge has given the administration 30 days to reunite families. 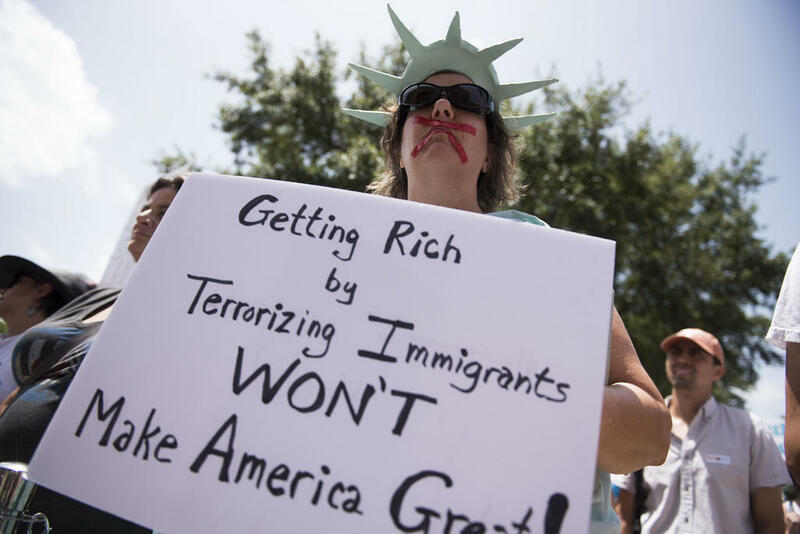 A crowd gathered at the steps of the Texas Capitol to rally against the recent immigration crackdown along the U.S./Mexico border. Valeria Serna, a member of the Austin chapter of United We Dream, told the crowd that family separation is not a new phenomenon. Serna, who is undocumented, said she has not seen her brother in the 10 years since he was arrested and deported to Mexico. 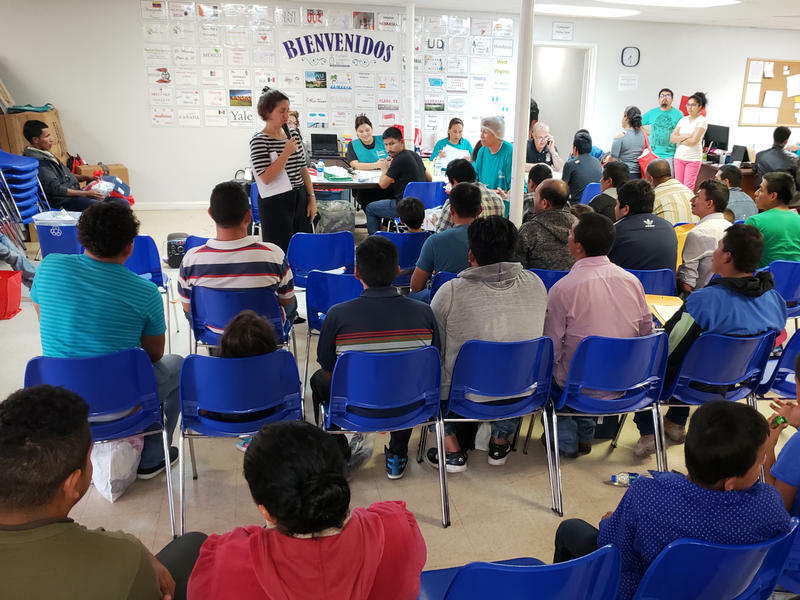 Local nonprofits called for volunteers to help provide legal services to those facing detention and deportation, and to drive people to San Antonio for immigration court hearings. Several attendees also joined in the call for the federal government to "abolish ICE," or Immigration and Customs Enforcement. "[ICE] hasn't been around for very long," said Austin resident Breanna Bader. "It's not necessary. People are just trying to move to places where they feel safe." Standing in the shade of a tree on the Capitol grounds, Bader said she's thinking about the long-term implications of the "zero tolerance" policy, which requires anyone crossing the border illegally be prosecuted. Bader doesn't want the issue to fade from the public conversation. "People need to keep talking about it," she said. "They need to not think that anything has been solved just because one or two stories get resolved." Dr. Michael Hole spoke on behalf of a group of medical professionals who were there to protest the "zero tolerance" policy. Hole, who is a pediatrician, told the crowd about the detrimental health effects of separation and detention on families and young children. "On behalf of the medical community, hear me now," Hole said. "This is a health crisis. 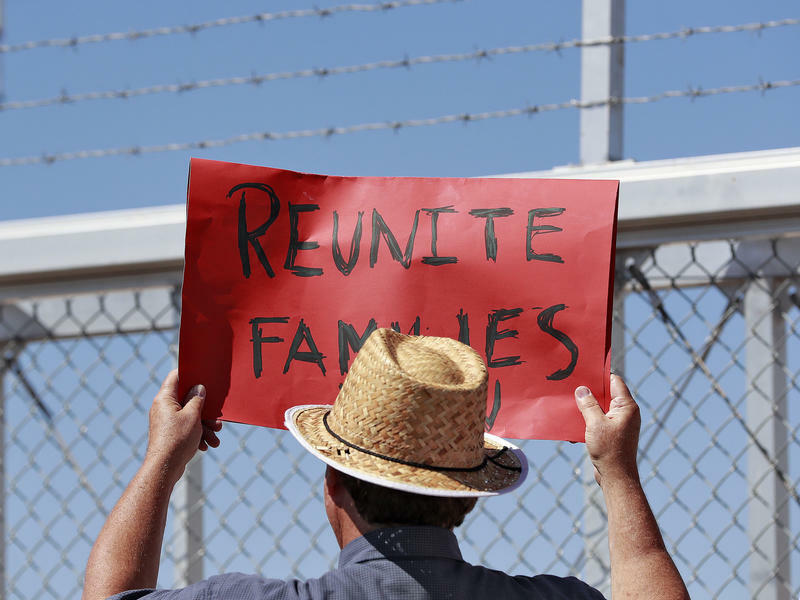 Detaining children, even with their parents, causes irreparable harm to their physical and mental health." At a highway-side motel in Harlingen, near the border in Texas, a small meeting room has been turned into something of a war room. Volunteer lawyers and aid workers eat tacos and strategize about how to help detained immigrants. "It's almost triage, that's what it feels like," says Natasha Quiroga, who flew in from Washington, D.C. with the Lawyers Committee for Civil Rights Under Law.